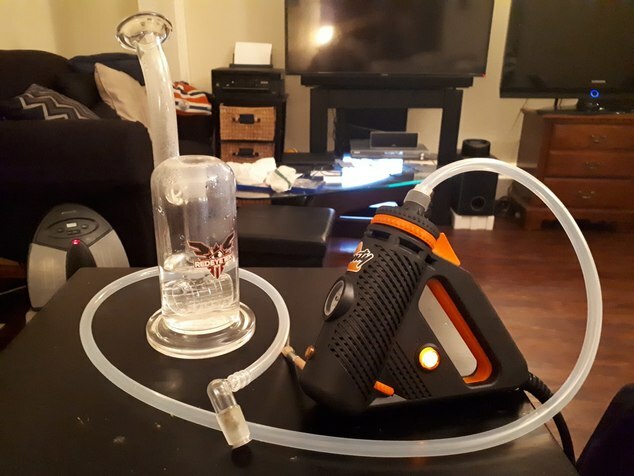 I was helping my buddy hook up my old Da Buddha to a water pipe when I decided that a whip could also work well with my Plenty. 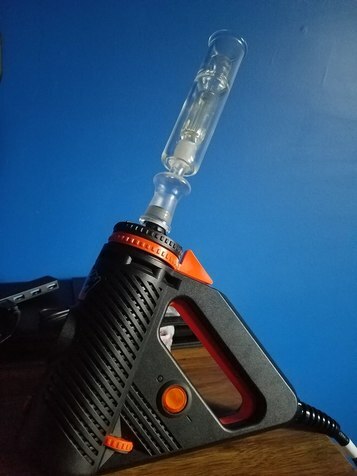 I've been using this mod, that I got from @Aj85 up until now to use it with a water pipe. 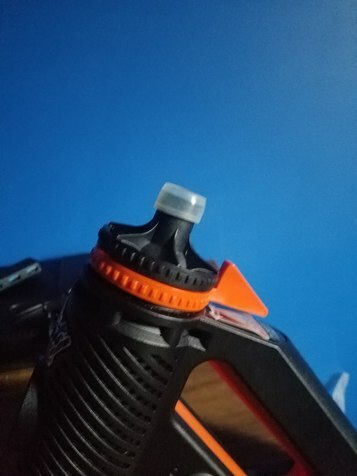 I picked up an extra Plenty chamber housing, so I could leave one with the cooling coil, and keep the other as a water pipe setup. 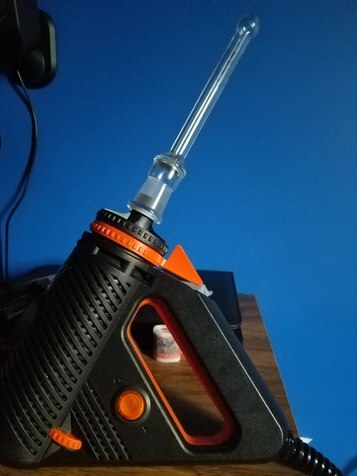 I used an Arizer extreme Q whip and elbow adapter. the whip fits snugly in the previous setup. 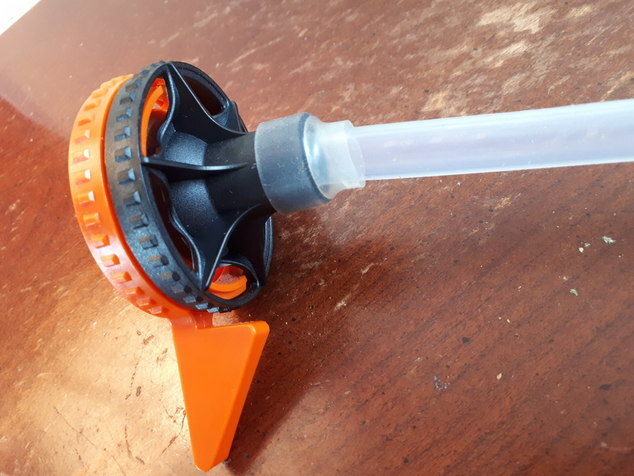 With the elbow adapter, I remember reading how some people like to load the elbow spot. So I took this idea, sprinkled in a little IQ flavor chamber inspiration, and stuffed a bud in the elbow. I don't expect this to do anything for flavor, through a water pipe. 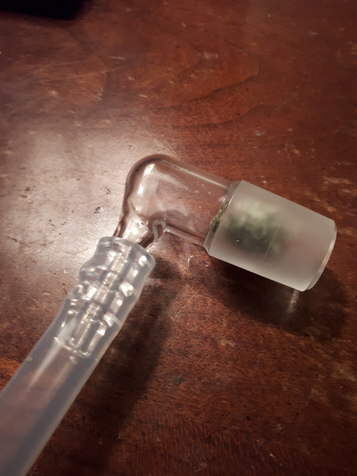 But I love the "superbuds" that I would pull from the flavor chamber after a few sessions, so I wanted to copy that idea. 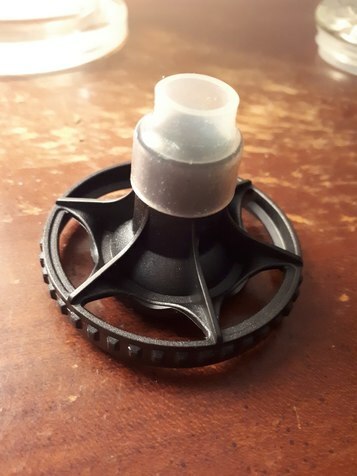 The elbow adapter also works as a 18mm WPA. And, the full setup. It works awesome. 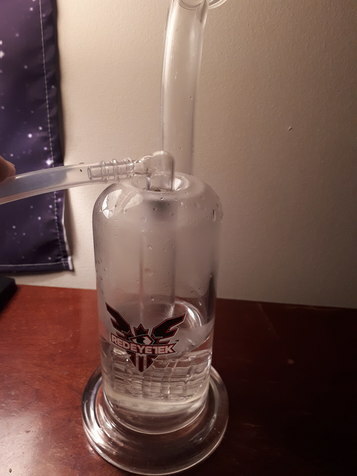 Not that lifting the Plenty to the bong was difficult, but there's something about just leaving it on the table while I rip it. Plenty with glass is the best. With a whip or with a glass top. The flavour chamber inspired super buds idea had me cracked up.